Hooray! Summer’s over! No more worrying about whether or not I’m beach body ready. Plus, who doesn’t love an autumn wardrobe. 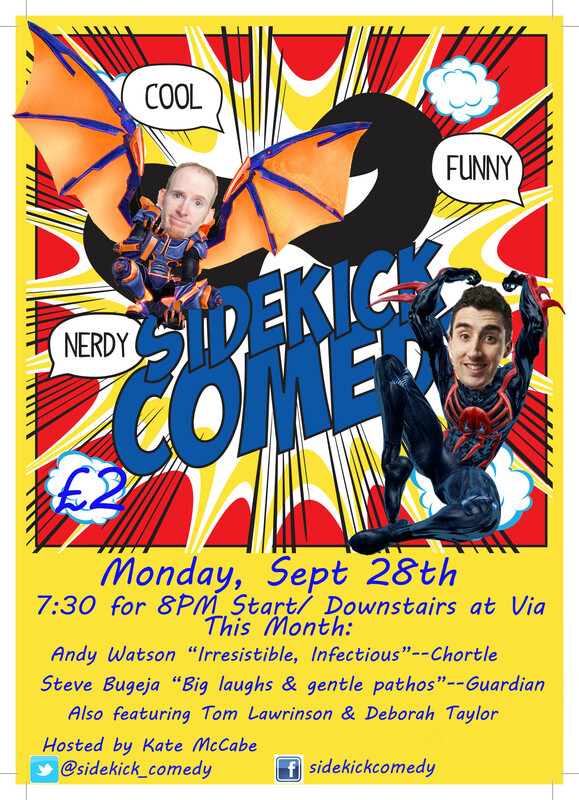 Sidekick’s September line-up looks like they could rock a cardigan. Support will be provided by the wonderful Tom Lawrinson and Deborah Taylor. £2 in or FREE with student ID, that date is the 28th. 7:30 Doors for an 8PM sharp start. Downstairs at Via on Canal Street. See you there!